Archdiocese_vd.m4v from ArchdioceseRegina on Vimeo. This is a video that I filmed, directed and produced together with the Agents of Good, a fantastic and unique fundraising consultancy. It's a long one, but we felt that these stories couldn't be rushed and the audience - mostly 50+, mostly rural, churchgoers - would be ready to enjoy a more in-depth piece. You'll see here the power of raw, unscripted stories about life-changing experiences and not about "programs." This is my chance to share some of the thoughts and enthusiasm of one of my life-time colleagues and mentors in the world of all things fundraising and business. 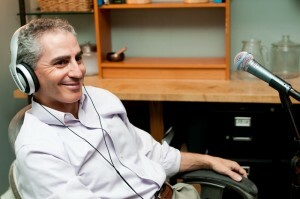 Paul Nazareth has created a series of podcasts as part of his Adventures in Networking! blog. They are a great source of inspiration and information for anyone who cares about doing business better and smarter. resource list that accompany each podcast! Episode 3 - Where Do You Find Your Rest and Your Peace? 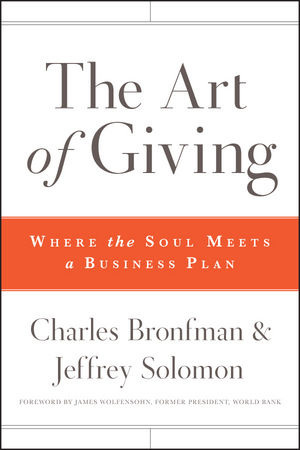 "A firsthand guide to getting the most out of giving"
This is the first handbook for DONORS that I have seen so far. Giving smarter is sometimes about understanding the landscape of philanthropy. What do the terms mean? What are the options for donors? How can I choose the organization that will accomplish my mission and structure my gift so that my dreams for a better world can happen? Unless you've had the chance to grow up in a philanthropic family, this is new territory and this book is the navigator! Check out the excellent summary of Canadian charitable gift vehicles provided on the book's website here. Do you ever read a book and realize a year later that it changed your entire outlook on the world in one single swoop? That's what Alan Kay's Fry the Monkeys and his blog have done for me. The concept is that others are the experts in finding the solutions to their own lives and problems. Your job is to help lead them to discover what they're passionate about doing well and give them the tools to help them do more of what they love. The video below is one of many on Alan's YouTube channel, but it gives a great overview of the Solutions Focus approach. Ken Ramsay and his company Legacy Leaders are champion examples how to Ask Better and Give Smarter. They have worked with hundreds of clients helping them to build efficient and effective Planned Giving programs and are both pioneers and now experts in helping donors to evaluate whether a legacy for charity might be right for them. I've known Ken professionally for over a decade and he is a true leader and mentor for many in the planned giving fundraising sector in Canada and in the US. Episode 2 of his vlog series was inspired by a question that I posed to him on Twitter. Tony Martignetti describes his work as "Big Nonprofit Ideas for the Other 95%." He has harnessed social media, radio and conferences to share his knowledge about planned giving gained from many years of experience. What I love about him is that he is committed to using understandable language when talking about planned gifts and is a self-identified jargon-sheriff. You can follow Tony on Twitter at @TonyMartignetti or on his blog. An interview with Nonprofit Radio's creative producer, Claire Meyerhoff, at the National Conference on Philanthropic Planning (NCPP) 2011 in San Antonio, Texas. Planned giving is NOT just for elite, sophisticated fundraising shops! Disclaimer: The content provided here is used with permission of the authors. They maintain full copyright and ownership of their own material and you must seek permission directly from them to reproduce or share it. The opinions expressed on christinaattard.com are those of Christina Attard and do not reflect on the companies or persons featured on this page. Likewise, their viewpoints are their own and do not necessarily reflect those of Christina Attard.